It’s our birthday! 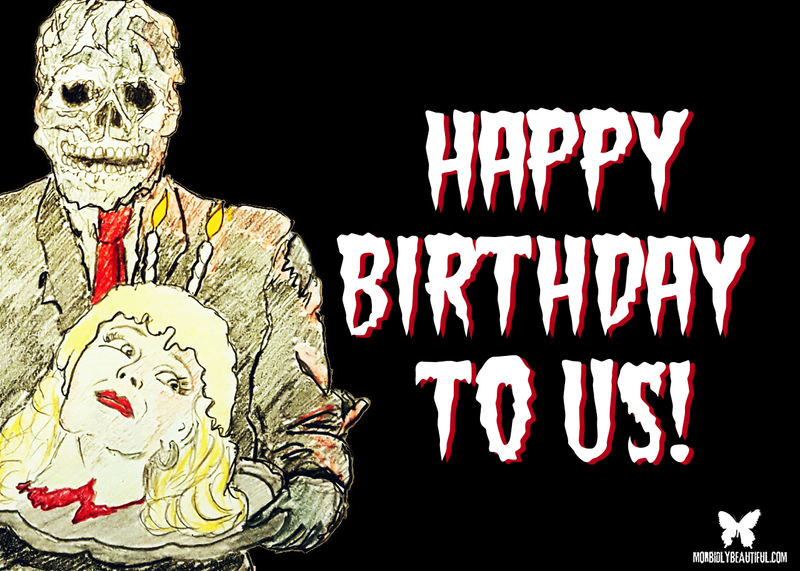 Morbidly Beautiful just turned two, and we want to thank our incredible horror family for the gift of your friendship and support. I launched this site on October 1st, 2015, as a forum to share my passion and love for the genre with other like-mind horror fans. More importantly, I wanted an outlet to celebrate and promote independent filmmaking, artists and writers, women and diversity and horror, and other unsung heroes of the genre that don’t get nearly enough mainstream coverage. As much as I was, and continue to be, a fan of the big horror sites we all know and love, I wanted to offer readers a unique voice they couldn’t find anywhere else. I’m enormously proud of how far our little site has come in such a short period of time, and I’m truly honored and beyond grateful to have been joined by such an incredibly talented and passionate group of individuals who truly make the site what it is today. I’m humbled by the support we’ve received and the love the horror community has shown us. It means more than words can express. 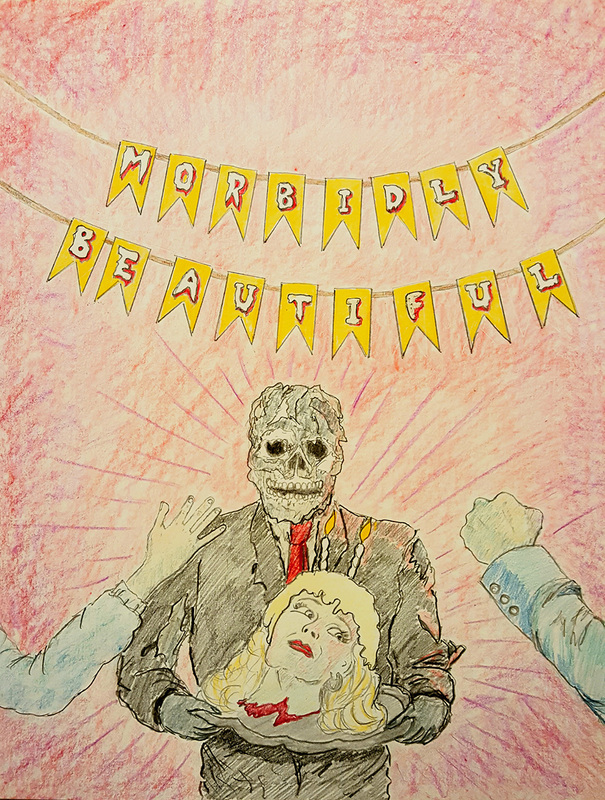 In honor of this milestone, I wanted to share some of the biggest highlights from Year Two of Morbidly Beautiful — highlights only made possible by fans like you. Thanks for being part of the Morbidly Beautiful family! We significantly grew our team of collaborators to include a diversity of strong writing talent and unique voices in the genre — welcoming aboard published authors, successful filmmakers, SFX artists, photographers, bloggers and other accomplished industry professionals. Interested in joining our twisted little family? Click here to apply to be a content or video contributor! We continued to see strong growth on our social media channels, and we made a big leap forward by introducing Tiffany Blem as our new Social Media Manager to help us better engage with our growing audience. If you’re not already, please consider joining us on Twitter, Instagram and Facebook for great content, awesome fan giveaways, and much more! As part of our strong commitment to recognize women in the genre, we celebrated Women in Horror Month in a big way. We were honored to interview and profile some of horror’s most iconic and influential women (including Tiffany Shepis, Debbie Rochon, Jewel Shepard, Kelli Maroney, and Brinke Stevens) — and introduce you to some of the most promising up-and-coming horror talent, both in front of and behind the camera. Speaking of women in horror, we’re extremely proud to once again sponsor the Ax Wound Film Festival put on by Women in Horror Month. The annual event, now in its third year, features a diverse selection of horror films written and directed by women around the world. The showcase includes short films, one feature, and a full day of workshops, panels, and excellent networking opportunities. In a mission we wholeheartedly support and share, Ax Wound aims to empower, inspire, and provide an inclusive space deeply dedicated to expanding visibility of women in the industry. In addition, we’re thrilled to also sponsor and help brand two important new festivals dedicated to bringing more awareness to female filmmakers: Medusa Underground, founded by Heidi Moore, and Hot Springs International Women in Film Festival, founded by Tamara Glynn. Stay tuned for more information on these important events coming soon. Finally, we’re beyond excited to join as first-time sponsors of the San Antonio Horrific Film Fest. The Horrific Film Fest was established in 2007 by filmmaker George L. Ortiz to give more opportunities and exposure to independent filmmakers around the world. We dramatically increased the frequency and amount of new content — including insightful interviews, in-depth reviews, thought-provoking articles, original horror fiction, artist spotlights, and other exclusive content you can’t find anywhere else. We now publish new content daily, typically multiple times a day. We became the new home of The Calling Hours Horror Podcast, hosted by writer / podcaster / SFX artist and owner of Slit of the Wrist FX, Michael “Dedman” Jones. We were also honored to exclusively publish Deeper Than Hell, the dark and powerful original horror serial, written by accomplished horror writer Josh Millican, with art and inspiration by talented genre artist Sean Wilson. And we’re just getting started! Stay tuned for many more great things to come as we head into our third year, and hopefully biggest and best year yet. This is one of my favorite horror sites ever. Definitely in my top 5! Love you guys. Thank you so very much for your kind words. It means the world to us!